Balasore, April 15: India on Monday successfully test fired supersonic cruise missile ‘Nirbhay’ off the coast of Odisha. The missile has a strike range of 1,000 km. It is the country’s first indigenously designed and developed long-range cruise missile. The all-weather missile is developed by Aeronautical Development Establishment (ADE), a lab under Defence Research and Development Organisation. DRDO Test Fires Long Range Surface to Air Missile LR-SAM From INS Chennai Off Coast of Odisha. The supersonic cruise missile is capable of carrying conventional and nuclear warheads and can be launched from multiple platforms. Nirbhay is powered by a solid rocket booster for take off. The missile has a Ring Laser Gyroscope (RLG) based guidance, control and navigation system. It also has a MEMS-based Inertial Navigation System (INS) along with the GPS system. Anti-satellite Missile Test: Odisha CM Naveen Patnaik Congratulates ISRO Scientists For Successful Demonstration. It was the sixth trial of the missile which was conducted today. 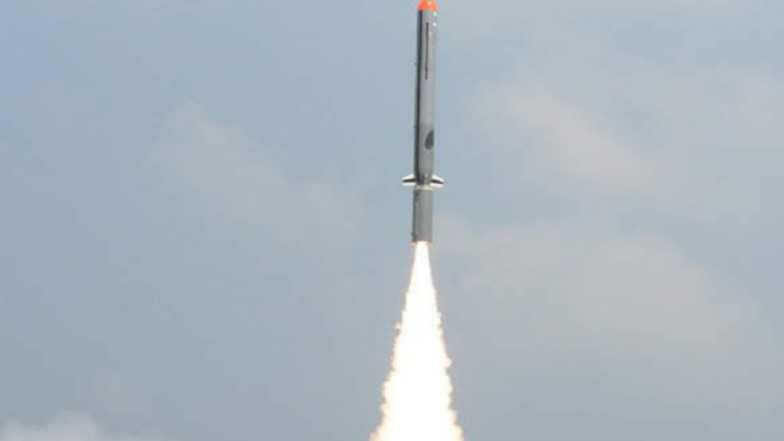 In the first trial, The surface version of Nirbhay missile was the first test fired on March 12, 2013, from the Integrated Test Range at Chandipur in Balasore district of Odisha. As the missile diverted from its trajectory, it was destroyed midway. Meanwhile, the second successful trial was conducted on October 17, 2014. The fifth test of the missile took place on November 7, 2017. The flight test was a success and met all the mission objectives.